If you love fabrics, but don't consider yourself particularly crafty, this is a great project to try. Simply cut fabric scraps to fit inside the clear pocket on a three ring binder! I used my acrylic ruler to help slide it into place. This eco-friendly burlap pouch is made from an upcycled coffee sack, sourced from a Milwaukee area organic coffee roaster. The bag provides a great presentation for teacher gifts, stocking stuffers, and hostess gifts. 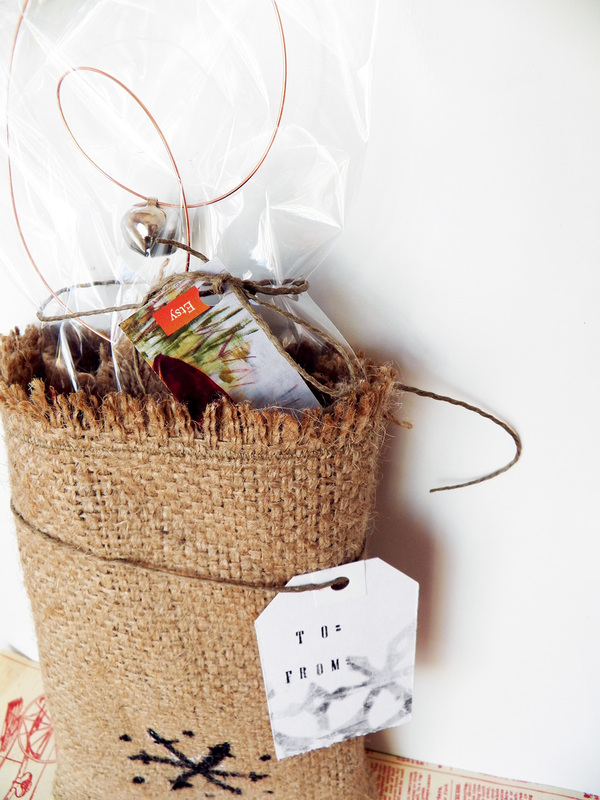 Give the eco-friendly gift of reusable and useful gift wrapping. The tag is included and ties are part of the bag.